MSR Mini Groundhog Tent Stakes one of the most popular stakes ever and now over 10% lighter the Groundhog tent stake's Y-beam design penetrates and holds in a wide range of soil conditions. Constructed from 7000-series aluminum, this stake is light, strong and rugged. A reflective pull loop allows for easy removal. 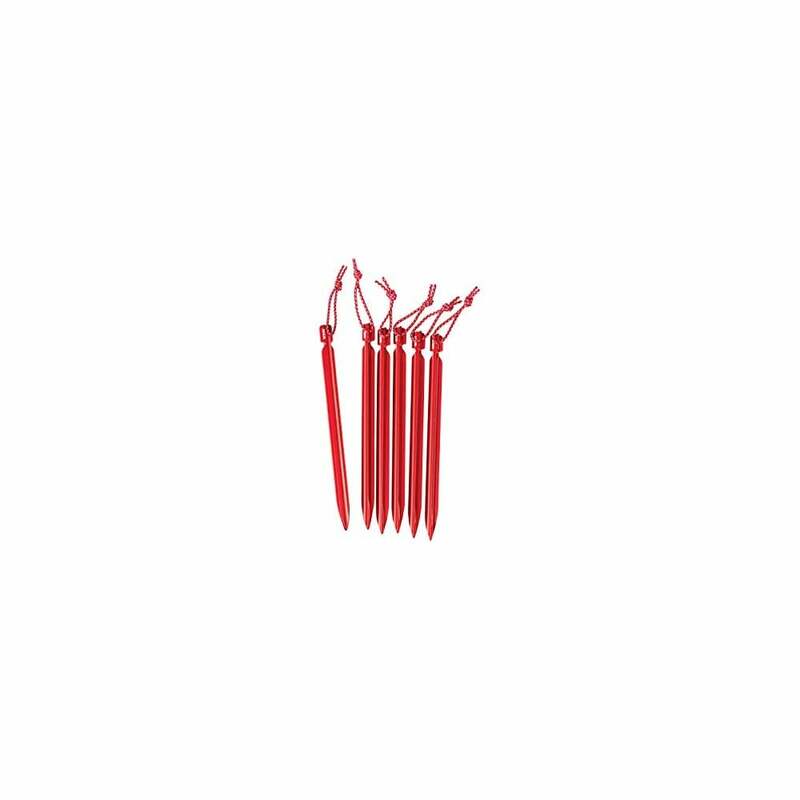 Sold individually or as a kit of eight tent stakes. Perfect for your camping adventure!